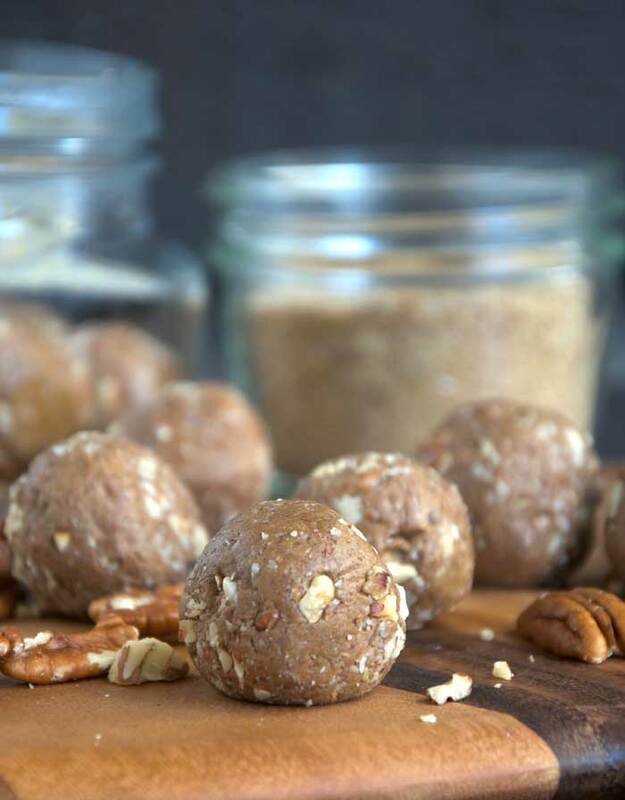 Vegan Gingerbread Protein Balls - No-Bake, No Blending! Lately I’ve been training at the gym 5 days week, plus fitting in 2 runs and a yoga session, so I’m in need of easy, peasy protein snacks big time! 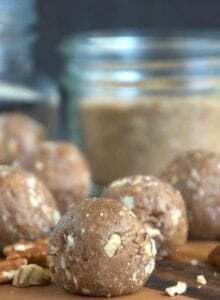 These delicious Vegan Gingerbread Protein Balls fit the bill just about perfectly and they taste like dessert so sign me right up! No-bake energy balls are one of my favourite things to make. 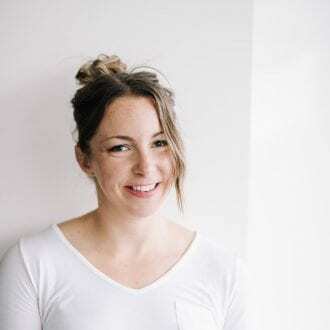 The flavour combinations you can create are endless and if you’ve been following Running on Real Food, you’re probably familiar with my love for really, really easy snack recipes. Everyone seems to be busy these days, and I think we can all use simple, yet nutritious and delicious recipes in our lives. Having healthy snacks and sweet treats on hand can prevent overeating, help you make better food choices, get you through that afternoon slump, and provide the energy needed for busy days and tough workouts. 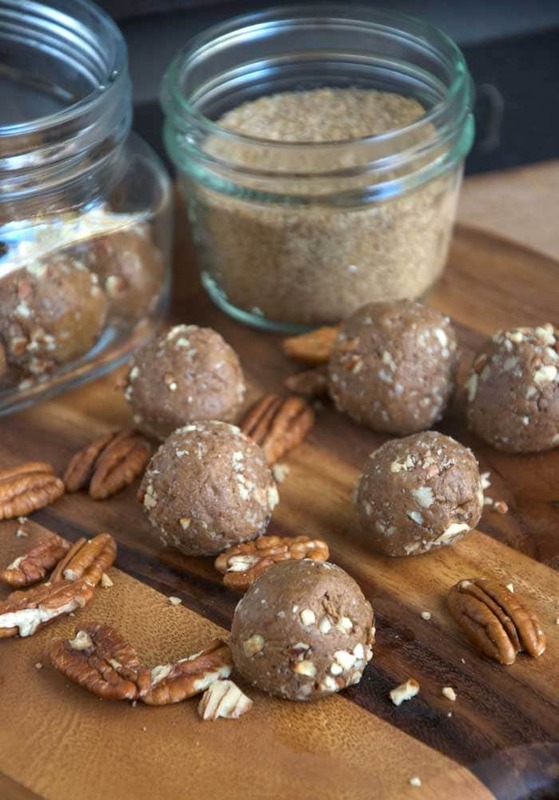 Molasses not only adds delicious gingerbread flavour to this protein balls but it acts a natural sweetener with it’s own host of health benefits. Molasses is high in iron, making it an excellent sweetener to use if you eat a plant-based diet. Yes, it’s sugar, so don’t go too crazy but it actually has the lowest sugar content of any sugar cane product. Unrefined sugar also doesn’t offer anything in the way of nutritional value while on the other hand, blackstrap molasses contains iron, calcium, magnesium, vitamin B6 and selenium. 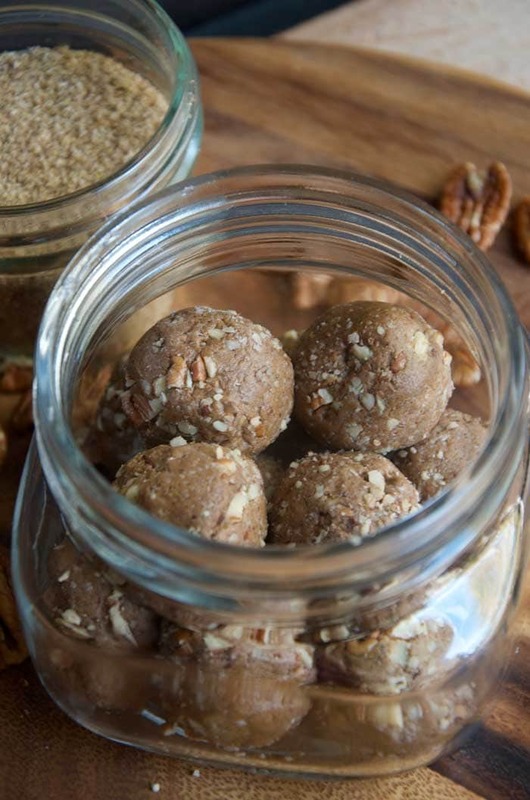 Today’s no-bake energy ball variety features one of my absolute favourite flavours: gingerbread! The molasses and ground ginger give them that classic gingerbread flavour while the cashew butter, protein powder, and ground flax provide an excellent nutritional profile. These are packed with fibre, protein, and essential fatty acids and they taste just like gingerbread cookie dough! Bonus: you don’t need to bust out the blender or food processor to make these! Less work, less mess! Simply add all the ingredients to a bowl and mix until it forms a dough. That’s it! They literally take 5 minutes to make, which means you’re only 5 minutes away from eating them. Place all ingredients in a bowl and mix until it forms a dough. This recipe was originally posted as a guest post on the The Lean Green Bean. Hi Deryn! I found your blog through Lindsay’s site. 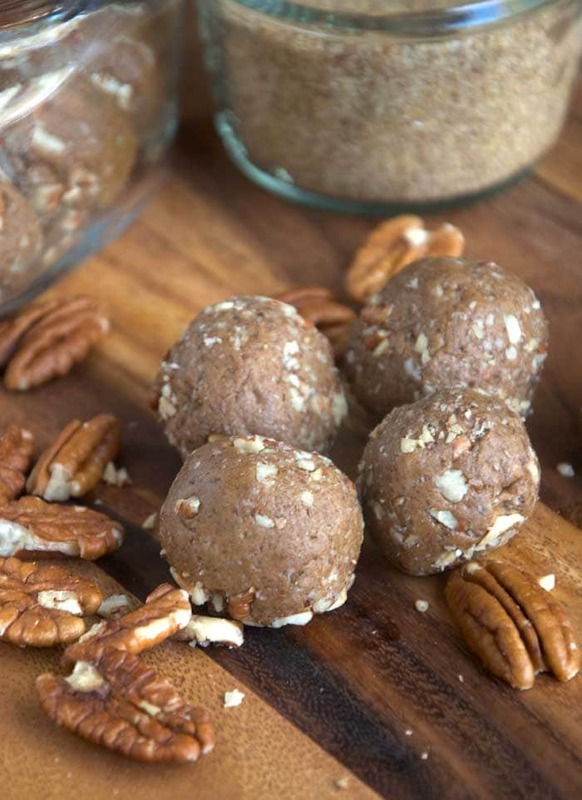 I think these gingerbread protein balls looks amazing! I usually only have gingerbread treats during the holidays but I wouldn’t mind giving these a try! These look delicious. I’m getting bored with grabbing a handful of nuts as a snack so I really need to start making healthy snacks again. I’m going to make these. Thanks for a great recipe idea. I hope you enjoy them! They make a great snack! So yummy.